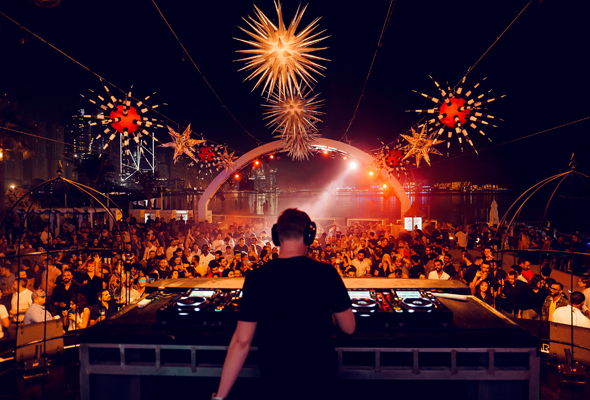 From long-awaited openings to fresh dining spots, deals, and places to party, we bring you our monthly round-up of new things to do in Dubai. 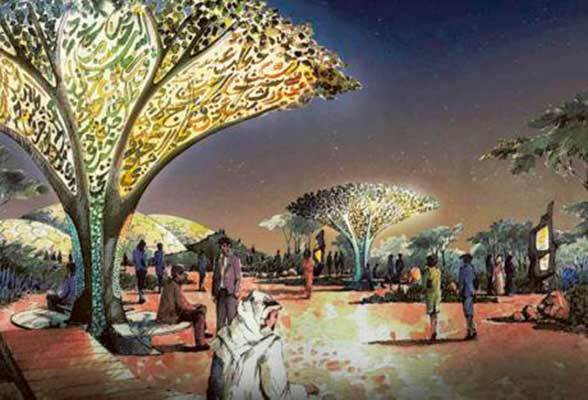 The much-anticipated Quranic Park is a wonderful cultural new Dubai attraction, and it’s now open to the public. Spanning over of 60-hectares, the park offers visitors a brilliant, intelligent insight into the several areas of the Holy Quran. The park is designed to give a better cultural and educational understanding of Islamic heritage, while still being a fun place to visit for children, families and those looking to learn more about the Quran. There’s even a cave inside the park, called the Cave of Miracles, that depicts the seven miracles that occurred in the Holy Quran using a variety of jaw-dropping visual displays. The park also has an Islamic garden where there are 43 plants and trees planted, all of which are mentioned in the Holy Quran, such as figs, olives, pomegranates, grapes, date palms and bottle gourds. Quranic Park, Al Khawaneej, close to Mamzar Park, Dubai, daily 8am to 10pm, free for park, Dhs5 for Cave of Miracles and Islamic garden. 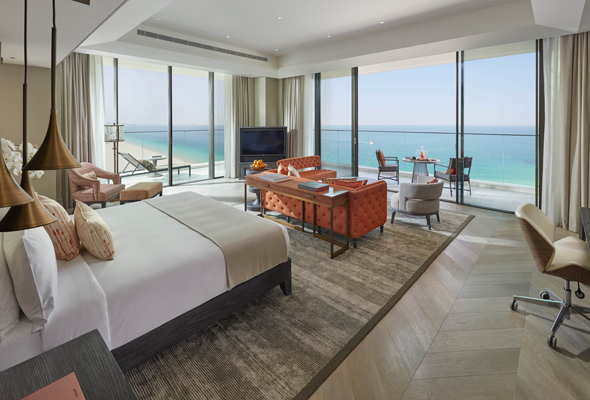 Mandarin Oriental Jumeira, Dubai, which is unsurprisingly found in Jumeirah, is now open in Dubai. It’s the first hotel in the city from the world-renowned hotel brand. Promising 178 rooms, 78 high-end suites and six new restaurants at its beachfront location, the brand says it will bring ‘a new wave of luxury’ to its guests. Lebanon’s iconic Skybar has opened its Dubai version, Sky2.0, in Dubai Design District. The sleek outdoor haunt opens every Wednesday, Thursday and Friday with each night dedicated to a different theme. Wednesdays kick off with reggaton-inspired ‘Oh Na Na’, Thursday is their signature night, while their Friday party is called ‘Boom Box’. 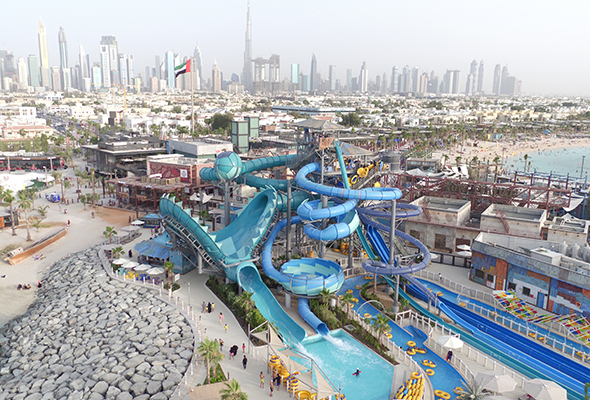 Dubai’s Laguna Waterpark at La Mer, which opened last May, has re-opened with the addition of an outdoor gym. The open-air studio, named Fit Hub, is a fully serviced outdoor training facility, featuring a variety of instructor-led workouts, including: boot camp, yoga, boxing, dance classes and more. Not only that, the class price includes free access on weekdays and all week long, guests will also be entitled to invite up to three friends and family to Laguna Waterpark at a 40% discount. 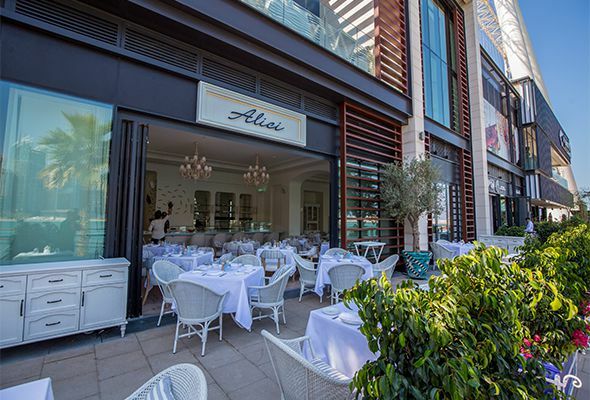 Alici, the beautiful new seafood restaurant by the team behind multi What’s On award-winning Restaurant of the Year Il Borro, is now open. The view across Dubai Marina is stunning, and you can admire it from both the outdoor terrace on the ground floor and an expansive first floor terrace, too. There are two kitchens: one upstairs and one downstairs – the latter home to a stunning blue-tiled pizza oven. There’s also a special raw food counter where guests can have an up-close experience with the chefs at work. 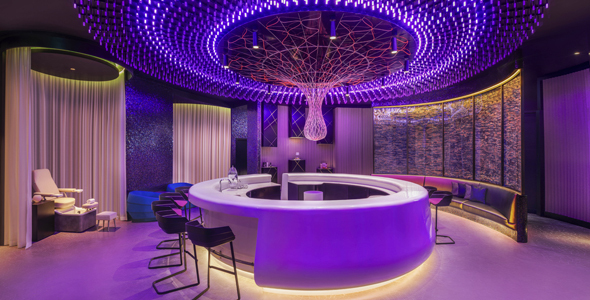 Cool new hotel W Dubai has launched ‘Not Another Ladies Day’, which is running from 12pm to 4pm every Sunday. 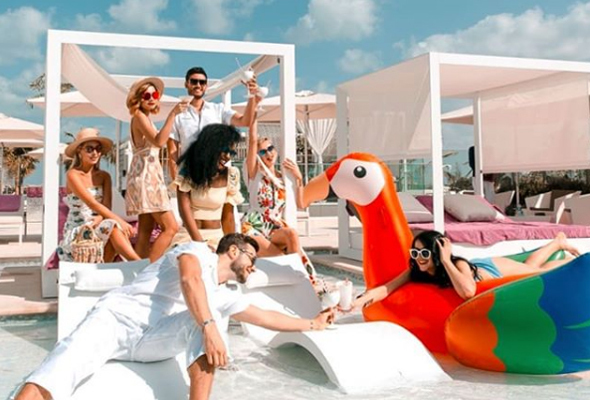 The four-hour package will offer unlimited free flowing drinks and a selection of bites for Dhs150 for ladies and Dhs250 for guys. The Wet Deck is adults-only swimming pool with a swim up bar, loungers and cabanas dotted around the swimming pool, and an elevated DJ booth at the back. 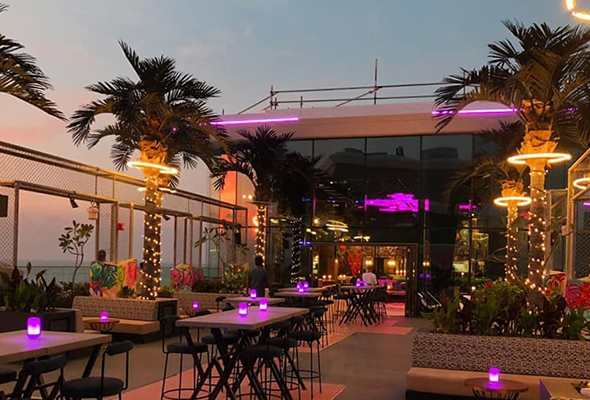 Dubai’s trendiest new rooftop bar, SoBe, is launching a ladies night to impress with four complimentary drinks and selected bar bites from Dhs 35. Take in the stunning 360 degree skyline views with a refreshing beverage in hand. Pierre’s is one of the city’s prettiest restaurants and lounges, with pastel pink hues and leafy interiors designed to be photographed throughout. Every Monday, guests can tuck into a cheese board for Dhs100, and glasses of wine from Dhs125. Novo Cinemas has just opened a new flagship cineplex at IMG World’s of Adventure in Dubai, which features next-generation Laser technology. 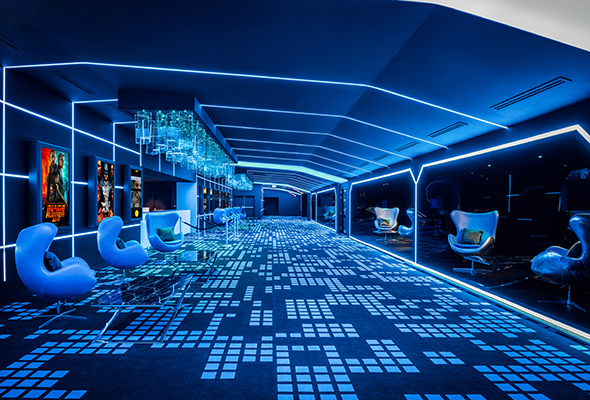 The complex boasts a 12-screen multiplex including three VIP screens with Novo 7-star service complete with a private lounge, fine dining menu, personal butler. Looking for a girls night out before your girls night out? Check out this offer from the stunning Away Spa. Rather than just an offering of three complimentary drinks, ‘Tropic Like It’s Hot’ is a Tuesday ladies’ night priced at Dhs390. From 6pm to 8pm ladies can take advantage of complimentary access to the sauna, steam room and whirlpool to kick off an evening of relaxation, before getting pampered with four mini treatments to get you ready for a big night out. The treatments include a ‘Diamond Drama’ lip mask, nail polish in a choice of the latest trending shades and party lashes applied for you. It’s finished with a glow-up from a dedicated glitter artist to finish off your party-ready look. In collaboration with Khatt Foundation, Nomadic Traces – Journeys of Arabian Scripts explores the origins of six of the most influential alphabets in the Middle East. It features nine specially made artworks in different mediums such as ceramic, textile and furniture. 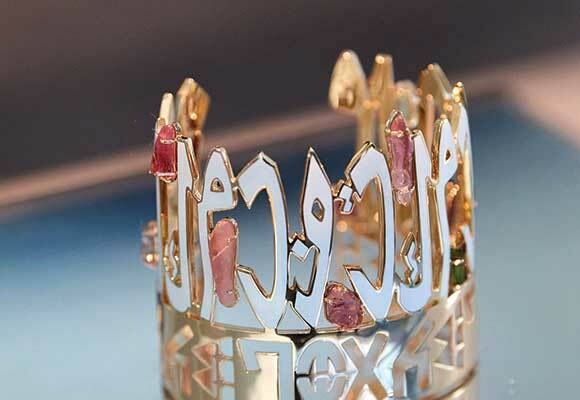 Essentially, it’s a display of Middle Eastern history and culture through design and form. 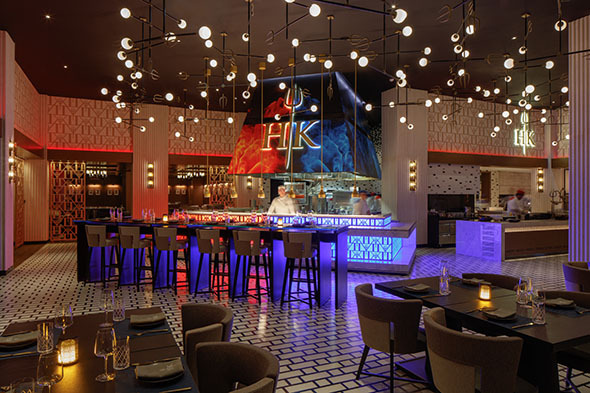 Gordon Ramsay’s Hell’s Kitchen has a new brunch which promises to measure up to the ‘theatrics of the hit TV show’. It runs from 12.30pm to 4pm every Friday and Red and Blue teams will compete in a fun culinary challenge at the new Bluewaters restaurant. On the menu, guests can expect to tuck into signature dishes such as the famous beef Wellington, crispy salmon and Mushroom and goat cheese gnocchi all from the hit television show. Planning a Thursday night out with friends without having to renegotiate your rent? Then why not head to Zero Gravity for their new all-inclusive night, Club Inc? The six-hour package of unlimited food and drink from 8pm to 2am is priced at a bargain Dhs199. Kickstart your evening with a visit to ‘Eat Street’, where the team of chefs will be serving up street food bites such as noodles, pizzas, hot dogs and burgers as well as sweet treats such as cotton candy. From there, head across to the fairground themed garden, with street artists performing between Giant Jenga, Connect 4, ping pong tables and basketball hoops. Going out for dinner in Dubai can get a bit repetitive, even when it’s at a new venue. 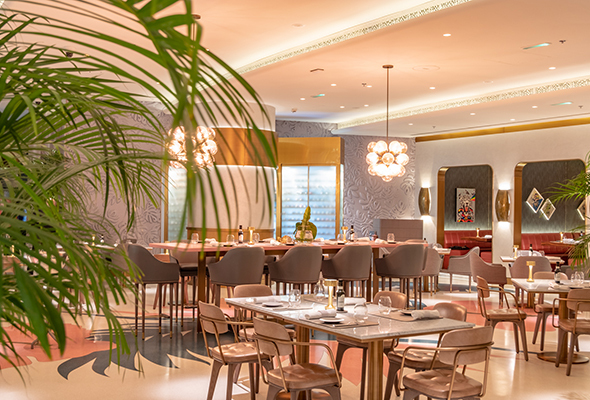 One solution to shake up your weekend dinner plans comes in the form of ‘7’ – a new immersive dinner experience at Skorpeus. 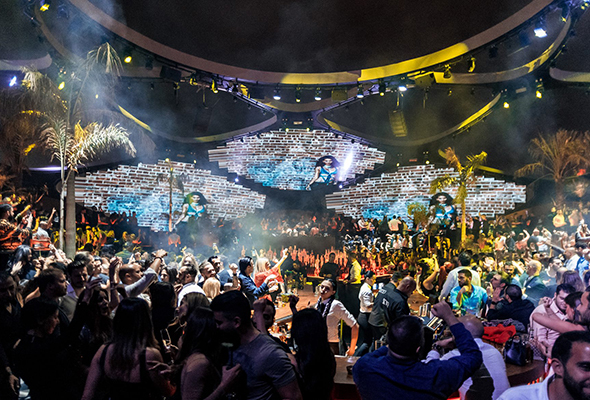 Themed around the seven forbidden values; vanity, greed, gluttony, envy, lust, wrath and sloth, the dinner experience is elevated with an immersive show of dance, music and drama. Underdogboxn is now open in Internet City, and caters for everyone from the complete novice to the professional athlete. The classes use a punch-by-numbers approach that makes it super easy to learn, but the workouts can be scaled so that everyone will walk away having had a great, challenging workout. 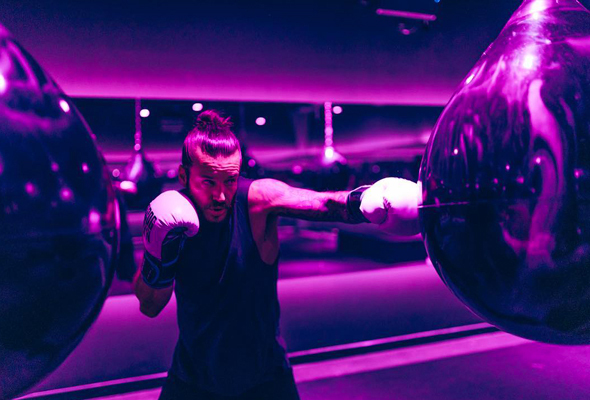 The Aqua Bag Technology absorbs the impact of your punches, instead of sending the impact back through your joints, ligaments, and tendons, which means you can punch harder and more often, while reducing your risk of injury.